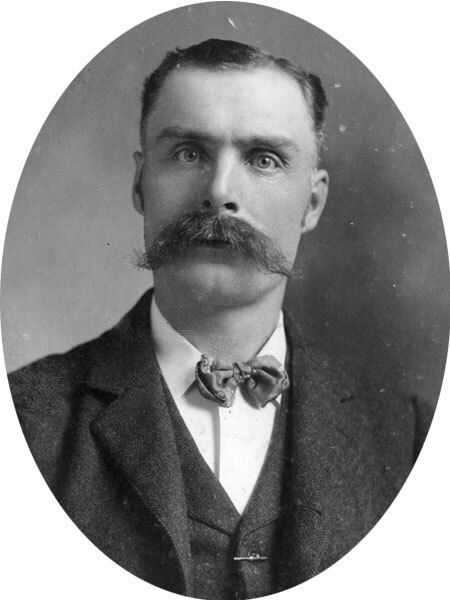 Farmer, MLA (1900-1903), MLA (1908-1910), MLA (1911-1914). Born in Ontario on 8 March 1862, he came penniless to Manitoba in 1882 with James Bolton and farmed at Hamiota. Defeated as a Conservative candidate in the 1896 provincial general election, he was first elected to the Manitoba Legislature in December 1899, representing the Hamiota constituency, but was defeated at the 1903 general election. He was re-elected at the 1907 and 1910 general elections and served as Chairman of Public Accounts during his representation in the House. He ran again in the 1914 and 1920 general elections but was defeated each time by John McConnell. He and wife Jessie Graham Sanderson (1869-1957) had five children: Harold Alvin Ferguson (1893-1980), Blanche Sanderson Ferguson (1896-1979, wife of James W. Ellinthorpe), Floyd Montague Ferguson (1902-1967), Nora I. Ferguson (1904-? ), and Jessie Marion Ferguson (1907-1953). He is believed to have moved to western Canada and died there. 1901 and 1911 Canada censes, Automated Genealogy. Obituary [Jessie Marion Ferguson], Winnipeg Free Press, 24 November 1953, page 28. Obituary [Jessie Graham Ferguson], Winnipeg Free Press, 17 June 1957, page 26. Obituary [Harold Alvin Ferguson], Winnipeg Free Press, 18 October 1980, page 55. We thank James Ellinthorpe for providing additional information used here.